In 2005 Buenos Aires became the first city to be designated a Unesco City of Design. A wander through its central neighbourhoods – such as Recoleta, San Telmo or Palermo – leaves you in no doubt why. Design – the kind of hip fashion, interior decoration and urban architecture to be found in every cosmopolitan city – is a feature of their landscape. But the city’s love affair with design is not a recent phenomenon, the result of globalisation; it has a pedigree that stretches back 60 years to a time when artists, architects and designers embraced European Modernism as humanity recovered from the Second World War. For many decades Argentina has been an enthusiastic creative hub, where tireless individuals and independent groups have struggled to develop creative practices with little support. Eager to encourage research, debate and creativity, and to be genuinely Modern and still genuinely Argentine, their activities have given rise to prolific and pioneering theoretical studies and writings on design, architecture and art as well as original design and artistic trends. What follows is a brief summary of events that have shaped the history of design in Argentina, and Buenos Aires in particular, since the 1940s – a time that gave rise to new theories about art and design, function and form, and the point at which ‘design’ became a discipline in its own right. During the final years of the Second World War, Latin American countries, partly because of their detachment from the conflict, experienced a period of economic growth and played host to a large number of international visitors. Visual artists, writers, architects and musicians from Europe who had been part of avant-garde movements such as Cubism, Suprematism, Neoplasticism and Constructivism came to cities such as Buenos Aires and Rio de Janeiro, where they met and exchanged ideas with local artists, a fruitful interchange that gave rise to new trends that combined international and regional traditions and ideas. It was not long before discussions among some Concrete artists turned to the issue of design, arising from their belief that art was a tool that could change the world. Following the movement initiated by Theo van Doesburg in 1930, Concrete art began to be developed in Buenos Aires in the early 1940s. Among its members were Lidy Prati, Edgard Bayley, Alfredo Hlito, the Lozza brothers, Claudio Girola, Alberto Molenberg and Tomás Maldonado – who played a key role in developing theory around design and in mobilising interest in it through his teachings and writings. The group was formalised in 1944 with the publication of the journal of abstract art Arturo and the following year it published its Inventionist Manifesto, which proclaimed that ‘concrete art praises life because it practises it’, calling it an ‘art of action’. Celebrating the bond between art and life, the group encouraged an art that ‘contributes to situate man in the world’. Praising ‘inventive joy’, they made it clear in their writings that they understood art to be a tool that could transform humanity through the invention of new forms. A deep faith in science, technology and mathematics sustained a programme that, at first sight, seemed purely formal but which, for artists such as Maldonado or Hlito, would be profoundly conceptual. Their questions, initially directed to the visual arts, were soon addressing wider notions of three-dimensional space, geometry, light, colour and sound, which they considered in their most elemental states. Broadening the scope of their discussions also meant getting involved with architecture and the world of the utilitarian object – the first article on product design in Argentina was published by Maldonado in 1949. By 1947, Maldonado’s home had become a laboratory of ideas and a place where artists and architects met to discuss the relationship between aesthetics and function, art and social transformation. These initial debates encouraged a further conceptualisation of the nature and potential of design and the study of it as an autonomous discipline. In 1948, a year that saw the foundation of the Faculty of Architecture and Urbanism of the University of Buenos Aires, Maldonado made contact with the Swiss architect, artist and designer Max Bill, co-founder of the Hochschule für Gestaltung (HfG) in Ulm in Germany, thanks to connections established by Ernesto Rogers (Domus magazine’s founder, then resident in Buenos Aires), and decided to travel to Europe for the first time. Over six months, he met representatives of Concrete art, Modern architecture and design, including Max Huber, Friedrich Vordemberge-Gildewart, Georges Vantongerloo, Richard Paul Lohse and Carlo Vivarelli, establishing decisive relationships; he returned riding a new wave of excitement which, for the students in Buenos Aires, fed ‘their fantasies… of being ultramodern’. For Carlos Méndez Mosquera, an architecture student who would later become a professor at the university, those years were a time of ‘initiation and experimentation’. He recalls that when Maldonado came back from ‘his memorable trip… he spread out the dazzling “Sirenella” and “arte astratta e concreta” posters by the Swiss-Italian graphic artist Max Huber’, and that these would constitute important models of practice. Maldonado also brought a whole set of the font Spartan (a US copy of Futura by American Type Founders), which these artists and architects started using in magazines aimed at inaugurating a new visual culture. Key publications included Ciclo (1948) and Nueva Visión (1951-57). 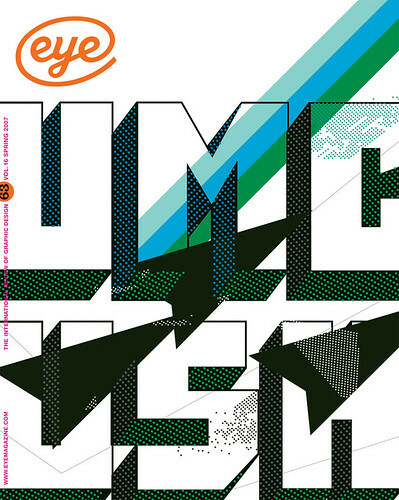 With these endeavours they began to explore typography and editorial design. In mid-1950s Argentina, the ideas of ‘good form’ and ‘good design’ being developed in Ulm became synonymous with innovation, quality and the synthesis between aesthetics and function, and coverage in Nueva Visión spread these ideas beyond the usual university and artistic circles. There was a growing attempt to take new ideas around design to a more public realm. In 1951, Maldonado and Méndez Mosquera founded Axis, a practice with the aim of delivering integral design services. In 1954 Méndez Mosquera founded Cícero Publicidad, an advertising agency that created within itself a conceptually different area: the ‘design’ depart­ment instead of the traditional ‘art’ department. In the same year he set up the specialist pub­lishing house Infinito, to help disseminate discourse around design in Spanish-speaking countries. This became one of the main channels for the distribution of key design texts. In 1956 Tomás Gonda (who would become a professor at HfG in 1958) redesigned the symbol for the national airline Aerolíneas Argentinas while working at Ricardo De Luca’s advertising agency. Parallel to these activities in the practical and commercial arena, discourse and theorisation around design continued to advance. The dialogue between Ulm and South American cities kept a steady pace, and countries such as Brazil, Venezuela and Argentina became important centres for Modernist thinking within Latin America. In Brazil, there was a serious political commitment to the Modernist project and the development of aesthetics was related to a national programme of socio-economic progress, including Oscar Niemeyer’s masterplan for the country’s new capital city, Brasilia, in the 1950s. Academic collaborations between Ulm and Latin America continued. In 1954, Maldonado went to teach at the HfG, invited by Max Bill. Argentine cities such as Buenos Aires, La Plata and Rosario soon assimilated these experiences and new study programmes were developed at their universities. At the University of Buenos Aires (UBA), for example, Maldonado’s disciples organised a design course called ‘Vision’ based on the teachings of Moholy-Nagy, and ideas from the influential CIAM (International Congress of Modern Architecture) were integrated into official education. In addition, Maldonado and Bill were appointed to plan the industrial design school, ESDI (Escola Superior de Desenho Industrial), in Rio de Janeiro, which subsequently opened in 1958. Argentine industry quickly became involved in promoting research around design, acknowledging that this was very much related to (and benefited) industrial development and expansion. As the government implemented a systematic plan to promote the growth of national industries, the Centre for the Investigation of Industrial Design (CIDI) was created in 1962 under the umbrella of the National Institute of Industrial Technology (INTI)IT. Between 1960 and 1970, it organised seminars, international visits and awards for good design. Graphic design appeared in this context as a service and complement to product design (or industrial design, as it is called in Spanish). Di Tella (ITDT) and the company SIAM Di Tella, both created by the Di Tella family. Both organisations became vital hubs or catalysts for a new phase of design production in Buenos Aires, ranging from experimental work to new concepts of visual identity. At the start of the twentieth century the industrialist Torcuato Di Tella had begun to build in Argentina what would become one of the most important industrial companies in Latin America: SIAM. By the 1940s, when government policies had reduced imports, SIAM was manufacturing 250 domestic and industrial products, democratising access to goods such as refrigerators and even cars. Di Tella’s sons Torcuato and Guido inherited the company after his death in 1948 and in 1958 they created a cultural foundation to encourage science and the arts. Influenced by the example of companies such as Braun and Olivetti, they decided to unify all SIAM’s products under one identity. The Di Tellas commissioned design partnership Estudio ONDA (Gigli / Fracchia / Iglesia) to work on the company’s identity guidelines – the first document of its type in Argentina. They also hired the graphic and visual artist Juan Carlos Distéfano to organise the first Department of Graphic Design at the recently created Instituto. It was soon to be known as the Di Tella Graphic, a leading school of visual communication mainly formed by self-taught graphic designers. Distéfano organised a team composed of the photographers Humberto Rivas and Horacio Cóppola, the designer Juan Andralis and the young typographer Rubén Fontana. Their diverse works – mainly posters, catalogues and billboards promoting cultural events at the Instituto (theatrical pieces, visual arts awards, concerts, exhibitions) – derived from Distéfano’s direction and input. According to Fontana (who had started working at an advertising agency at the age of thirteen), the Di Tella’s image resulted from Distéfano’s knowledge of what ‘happened with the offset machines, with the rollers at the moment of printing’. Distéfano was a ‘graphic animal’, according to Fontana. ‘What he developed was simple, it was based on reproduction… as these were the things that motivated him graphically, from the most elementary fact that you print with yellow, cyan, magenta and black’. Making the most of typography and colours, the team created kinetic, optical and three-dimensional effects. Modern, fresh and visually strong, these works were hugely memorable and, as they became part of the Buenos Aires landscape, they became an important reference point for a whole generation of designers. After the long period of theorising, debate and writing of the 1940s and 1950s, graphic design had finally made it on to the streets. By 1961 SIAM had two internal design departments, for product design and advertising. During its best years, the advertising agency, Agens, was directed by Frank Memelsdorff and the architect Carlos Méndez Mosquera. Their teams were composed of young design practitioners whose work would become visible and relevant in the following decade: among others, architecture student Guillermo González Ruiz, Ronald Shakespear, Pino Migliazzo, América Sánchez, Carlos Rolando, Ricardo Rousselot and visual artists such as Pérez Celis, Rogelio Polesello and Rómulo Macció. Members of the design team at the Di Tella also worked with them. As design practice became more professional, opportunities for formal design education were developing outside Buenos Aires. In 1958 the National University of Cuyo opened its Department of Design; in 1960 the Institute of Industrial Design of the University of the Litoral was founded; and in 1963 a degree in Design in Visual Communication was started at the University of La Plata by architect Daniel Almeida Curth. The status given to these early design programmes reflected the conviction that design was an integral enterprise covering the industrial and the visual, and their curricula – shaped by analysis of courses such as those at the Royal College of Art in London and in particular the HfG in Ulm – emphasised the productive and social aspects of the discipline. The professionals teaching at La Plata (the closest to Buenos Aires) included Roberto Rollié and the architects Ricardo Blanco, Silvia Fernández, Roberto Doberti and Mario Mariño. Visiting professors included Tomás Maldonado and Gui Bonsiepe. In Buenos Aires, design had not yet gained university status, but other educational institutions emerged, such as the Escuela Panamericana de Arte (Pan-American School of Art) and the municipal Centre for Visual Communication, where Fontana and Distéfano taught and whose students included Gustavo Pedroza (whose work for cultural organisations such as the San Martín Theatre made him influential from the late 1970s on). These institutions, along with the art schools Prilidiano Pueyrredón and Manuel Belgrano, channelled a great number of visual artists and architects into design. Many of the teachers in these specialised schools focused on the theory and practice of design, and both communication and media theoreticians as well as international artists taught there. This eclectic training – somewhere between university studies, the tradition of the craft, and artistic formation – produced many of the designers who came to prominence during the 1970s and 1980s. The Di Tella years came to an abrupt end in 1968 when Juan Carlos Onganía’s military coup closed the Instituto, which it considered ‘offensive’ to ‘official morals’. Shortly afterwards SIAM was closed down and Di Tella and Agens’ members began to create their own independent studios. One such was Distéfano + Fontana Comunicación Visual. After Distéfano quit design in 1976, to devote his career to the visual arts, this became Estudio Rubén Fontana & Asociados (later Fontana Diseño), a studio celebrated for its identity projects and editorial design. Apart from the experience he gained in Argentina, Fontana was also influenced by a trip to Europe where he met designers such as Armin Hofmann, André Gürtler and Yves Zimmermann. He later set up the typography and editorial design courses at the University of Buenos Aires (UBA) and founded Tipográfica (1987), one of the most important Spanish-language design journals. Guillermo González Ruiz and Ronald Shakespear set up in partnership together and were commissioned to do the Visual Plan of Buenos Aires, which they began working on in 1971. Taking into consideration projects developed abroad, such as the work of Kinneir Calvert Tuhill in England, they developed a signage system of great clarity and simplicity, made up of freestanding and interchangeable structures where each sign, beyond its intended function, was a component of the urban landscape and shaped the visual identity of the city. (Eduardo Cánovas designed the geometric symbol for the city, now on the back of every traffic sign.) This work would become paradigmatic around Argentina – and copied in many other Latin American countries. González Ruiz went on to open his own studio (Estudio González Ruiz y Asociados), and Shakespear founded Diseño Shakespear, now managed with his offspring Lorenzo, Juan and Bárbara. From the 1970s onwards these studios were commissioned to take on large-scale public and private-sector visual identity projects – complex plans to give institutions such as schools, hospitals, airports, clubs, housing schemes, Buenos Aires’ central market and factories a consistent identity through the various elements that constitute their landscapes. Such ventures involved signage and 3D design, and were usually developed in collaboration with architects and product designers, the idea being that design is part of an overall project that integrates all the strands of the discipline. The 1970s consolidated the profession of graphic design. The number of professionals in the field grew, and their generation is still going strong. Among those making a distinctive contribution to a vernacular practice were Jorge Canale, Eduardo Cánovas, Victor García, Silvia González, Edgardo Giménez, Nicolás Jiménez, Dora Kappel, Martín Mazzei, Roberto Rollié, Héctor Romero, Alfredo Saavedra, Raúl Shakespear (brother of Ronald), Sara Torossian, Carlos Varau and Angela Vasallo. Many well trained designers moved to North America or Europe, where they became involved with design both academically and practically. Jorge Frascara moved to Canada, to teach and research at the University of Alberta. He was President of Icograda from 1985-87, and his books on design have been widely used in Argentina’s schools. Young communication professionals such as Ricardo Rousselot, Carlos Rolando, Norberto Chaves (known for his writings on communication and corporate identity), Juan Carlos (América) Sánchez and Mario Eskenazi, went to Spain, where they would receive design awards and where they are very active today. During the years of military dictatorship (1976-83), design in Argentina mostly developed outside the university, cultural and government fields. Studios mainly worked for private clients and companies. However, with the ‘democratic spring’ that followed Argentina’s 1982 defeat in the Falklands War, and the subsequent election of Raúl Alfonsín as president, state interference in universities came to an end. In 1985, the government-funded University of Buenos Aires (UBA) started a degree course in graphic design, developed by Guillermo González Ruiz, with the support of Tomás Maldonado (who returned to Argentina once the dictatorship had come to an end), and based on the precedent of La Plata, National University of Cuyo. Free of government restrictions, the discipline of design, which had been linked to a Modernist project, could now be promoted alongside a democratic one that aimed to build a free and egalitarian society. Most of the designers who had participated in the founding phases of the profession had by then re-joined the School of Architecture, Design and Urbanism, bringing together decades of experience, outstanding practice and enthusiasm. In the post-dictatorship years, more than 7000 students have been able to join the UBA course for free, and other state universities and private institutions have also created graphic design degrees and courses in visual communication. As the first graduates began to practise, their work gained recognition in the urban landscape. Graphic design became incredibly popular, a constituent of everyday life. This wave also brought in fresh practices, working with interesting conceptual strategies, such as that of Alejandro Ros, for example, who has developed a highly distinctive body of work. Whether working for the daily newspaper Página / 12 or designing CD covers, Ros has taken the montage of titles and illustrated or photographic images to a highly meaningful sphere – where connotation plays the most important role and is triggered by the most common and ordinary objects. The neo-liberal policies of the 1990s brought international investment to Argentina. As global corporations moved into the country – sometimes taking over state-owned companies – international design studios also opened offices in Buenos Aires, offering ‘branding’ and ‘marketing’ campaigns. But the government’s policies soon proved financially unsustainable and possibilities for growth were cut short in December 2001 when the currency was abruptly devalued. Nevertheless, the economic crisis ultimately provided an opportunity for entrepreneurs to build new Argentina-based businesses aiming for recognition (and consumption) both locally and abroad. The new wave of adventurers included many designers – working in fashion, architecture, product design, interior decoration, graphics and multimedia – who have brought renewed vigour to the attempt to build up the national design industry and capitalise on the country’s creative assets. A larger investigation and greater historical distance may be required before their wide-ranging achievements can be put fairly into context. However, some academics have questioned the ethical implications of practising design in such a market-driven context. They encourage reflection on the structure that has shaped design in Argentina, emphasising its Modern heritage and the focus previously given to its social role. Graphic design, having accompanied the country throughout its vicissitudes, is now contributing to the diversification of industry, to the promotion of social campaigns, agriculture, the third sector, small entrepreneurial companies and minorities. By granting Buenos Aires its ‘City of Design’ award, UNESCO has recognised that creativity is an essential element of the city’s economic development – and that of the country at large. Despite the intense economic difficulties of recent years, Argentine design – with its strong roots in teaching and research – has retained its stature within the international design community. The Modernist project, always striving for genuine, progressive improvement in mankind and its environment, has for several generations informed the gestation of graphic design as a discipline in Argentina and Latin America; the movement’s ideals remain valid for the present, and for the future of design.